PARIS -- PSA Group confirmed it had submitted a bid for a partnership with Proton Holdings, putting the French automaker in a potential bidding war for the ailing Malaysian owner of the UK's Lotus Cars unit. 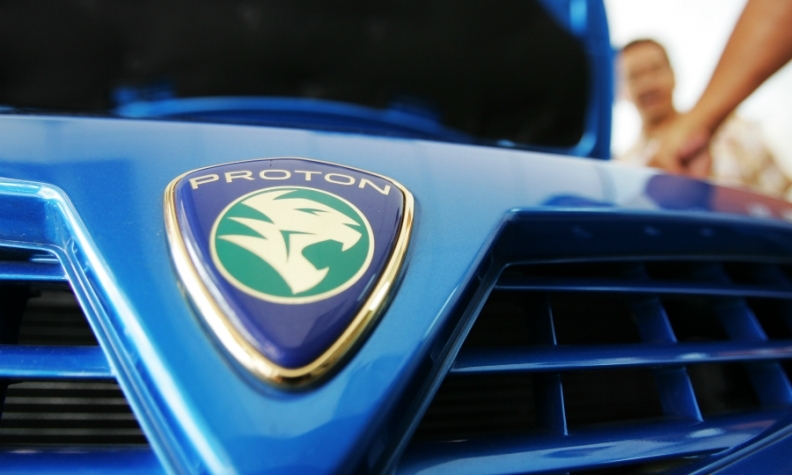 Zhejiang Geely Holding Group of China had also made an offer for Proton, reports said. Geely officials didn't respond to a request for comment. PSA's offer for Proton comes as the automaker also pursues a deal to acquire General Motors' Opel and Vauxhall brands, a move that would make it Europe's second-largest carmaker after Volkswagen Group. PSA, which sells the Peugeot, Citroen and DS brands, ranks third behind VW Group and Renault Group. "PSA Group made an offer and is willing to go further," a PSA spokesman said by email on Tuesday. "We have no additional comment at this stage." PSA and Zhejiang Geely may have different goals in pursuing a deal with Proton, which was founded in 1983 as part of the Malaysian government's industrialization efforts and is now owned by the Malaysian conglomerate DRB-Hicom. The main attraction for Zhejiang Geely, which acquired Volvo from Ford Motor in 2010, would most likely be the technology-rich but low-volume Lotus brand. Chinese billionaire Li Shufu, whose is chairman of Zhejiang Geely Holding, talked about Proton during a roundtable interview that included Automotive News Europe in Shanghai last November. He said Zhejiang Geely spoke to DRB-Hicom in Malaysia in 2014 about a technological corporation but that the companies "never talked about the acquisition of an equity share in Lotus." When asked whether Zhejiang Geely aimed to add more brands Li said: "We are small in size so we would like to grow ourselves through technological advancement, through better r&d and through our market expansion." PSA, on the other hand, could see a wide range of strategic benefits from a stake in Proton, analysts and reports said. The company will announce its 2016 financial results Thursday in Paris. "PSA has been looking for a way into the South Asian, or ASEAN, market for a few years now, and it's become a key pillar of its strategy," said Ian Fletcher, who is a analyst at IHS Markit. PSA's five-year Push to Pass plan includes a goal of selling 1 million vehicles in China and Southeast Asia by 2021, according to a report in the French business newspaper Les Echoes. PSA could use Proton's underutilized production facilities, especially at the relatively new Tanjung Malim manufacturing plant, as a production and export base for Southeast Asia and other emerging markets, Fletcher said. Reports have listed Proton's total production capacity at 400,000 to 600,000 vehicles annually, though it sold only 102,000 cars last year, according to Reuters. The French company could use Proton as a base for a low-cost brand, Fletcher said, suggesting the Peugeot 301, currently targeted at the African market, or the 2008 small crossover as templates. It could also take advantage of free-trade agreements in the region to enter more lucrative markets such as Thailand and Indonesia. Winning a stake, or even a controlling interest, in Proton, would help PSA broaden its corporate footprint and help hedge against economic events in Europe, where it sells the majority of its vehicles. Acquiring Opel/Vauxhall would make the company even more Euro-centric. "We're only less than five years since the last time the market tumbled in Europe," Fletcher said. "A lot of companies are trying to balance themselves globally, and PSA needs to focus on markets outside of Europe more than it's doing at the moment." The list of companies reported to be interested in a share of Proton includes Renault and Suzuki, although recent reports said that Renault would not be pursuing a deal. Proton received a loan from the Malaysian government last year worth $280 million, and as a condition of receiving the funds it agreed to seek a foreign partnership. Proton said in a statement on Feb. 15 that it would conclude and announce a decision on a partnership "within the first half of this year," adding that it would seek to complete an agreement "as early as possible." Once bids are received, the company said, DRB-Hicom will begin the process of negotiations and obtaining regulatory approvals.